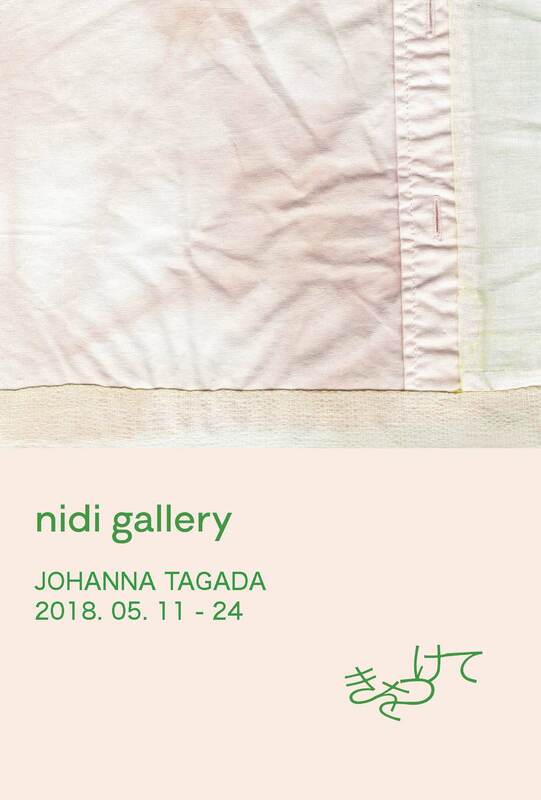 Nidi Gallery is proud to present London-based French artist Johanna Tagada’s first solo exhibition at the gallery. Tagada oeuvre encompasses a wide array of mediums, including oil paintings, collages and textile installations. Through soft and delicate expressions, often described as calming one's mind, the artist’s practice conceals ecological messages. Tagada's latest interactive textile installation Penser, Manger, Partager, created with a singular use of natural dyes and embroideries is to be exhibited, along recent paintings inspired by philosopher Arne Naess’ writings, and selected pieces from the collage series Cocooning, which function as aide memoirs and colours studies. We encourage you to visit, view and interact with Tagada's latest works.